FAQs regarding our school and programs. Q: How/why should I choose an independent school?  Accredited independent schools typically have small class sizes, provide individual attention to their students, and offer a strong sense of community. Browne Academy’s extraordinary teachers have more autonomy in the classroom to get to know each child’s learning style and motivations. As a parent, you want to choose a school that is a good fit for your child’s learning style and personality but that also is in sync with your family’s values. Browne Academy’s core values of excellence, character, diversity and community are reflected across the curriculum and campus life. These values are evident in our collaborative approach to education, where we encourage students to be active participants in their learning; in our understanding that doing one’s best is different for each individual and that students grow and thrive when they stretch themselves; and in our appreciation of and respect for the diverse ideas, perspectives, and experiences each student brings into the community. Q: What are the benefits of a preschool - 8th grade school? A preschool-Grade 8 school builds the foundation for all future learning, focusing on specific developmental and cognitive needs. Continuity of teachers, friends, programs, and environment contributes positively to students’ academic, social, and emotional development. As a result, we see greater academic progress, as well as higher self-esteem among the students. Childhood is protected in such an environment. Middle school students do not feel pressure to grow up too quickly or as though they are in limbo between elementary and high school; rather they are campus leaders, serving as mentors and “buddies” to their younger counterparts. And the younger students, through these relationships with their older friends, feel safe and a part of a larger, nurturing community. Q: What differentiates Browne Academy’s academic programs? Browne Academy offers an outstanding academic program within a nurturing environment. We teach 21st century skills that empower our students as learners, encouraging them to make connections between topics/courses and ask thought-provoking questions that might lead their discussions down an unexpected, but exciting, path. As a result, our students gain a deeper understanding of what they are studying and a passion for on-going learning. Our small class sizes allow teachers to get to know each child’s strengths and personality, thereby helping each student achieve at his or her highest potential– not just academically, but also socially and emotionally. Q: What are some of the traditions of Browne Academy? We recently celebrated our 75th anniversary, and we continue to enjoy our school’s many traditions. For instance, each year we have a friendly Red/Grey competition, in which students and their families, assigned to either the Red Team or Grey Team, receive points for participation in various activities both during and outside the school day. The competition culminates at year’s end when the Head of School announces the winning team. Another community tradition is the much-anticipated Friends and Family Day, where students proudly get to show off Browne Academy to friends and extended family. The day begins with an all-school assembly and performance, followed by activities in the classrooms so visitors can see teachers and students in action. Also, our students love our Buddy program, where younger students are paired with an older Buddy, who serves as a friend and mentor for the school year. Through this program, our older students get the chance to develop leadership skills and serve as role models, while our younger students have a friendly face and a helping hand on campus. Q: Is there high-school placement counseling? Our students have a deep understanding of their academic strengths and are well prepared for the high school transition. Helping Browne Academy families navigate the high school decision process is paramount to our program. When students are in 6th and 7th grade, we encourage them to start thinking about high school by going to open houses/fairs and sporting events, and talking to other parents/students from schools in which they might be interested. At the beginning of 8th grade, each family works with our placement counselor to 1) determine which high schools would be a good for each student and 2) complete the application process. As an independent school, Browne Academy does not receive any government funding, so tuition and charitable gifts are our primary sources of financial support. To achieve our goals it takes more than eager students, extraordinary faculty, and first-rate facilities. It requires a commitment to continuous improvement through an on-going investment in professional development, curriculum enhancements, technology upgrades, and campus improvements. A vibrant Annual Fund is one of the hallmarks of a thriving independent school and is crucial to attracting new students, faculty, and education grants. We encourage all members of the Browne Academy community to contribute; the amount of each gift isn’t nearly as important as participation – at any level. It is our goal that any child who has been accepted at Browne Academy will be able to attend. To help offset the cost of attending school, Browne Academy provides need-based financial assistance to qualifying families. We recognize and understand the importance of making a Browne Academy education affordable. We are committed to providing the opportunity for an independent school education to accepted children, regardless of their families’ financial circumstances. Q: How does Browne Academy support busy parents? We understand that parents’ schedules do not always mesh with their children’s. To that end, Browne Academy offers year-round opportunities for our students, including Before and After Care; after-school enrichment activities; and summer, spring break, and winter break camps. We strive to make parents’ lives easier while also enhancing our students’ experience at Browne Academy. Q: Does Browne Academy offer after-school activities? Yes, the day does not have to end at 3:15 for your Browne Academy student. We offer a robust enrichment program that includes offerings such as tae kwon do, soccer, pottery, private music lessons, engineering, tennis, and dance. The lineup varies with each session, so students have a chance to explore many activities. Our music program offers extracurricular activities, as well. Beginning in 2nd grade, students are able to join the Adagio string ensemble. As students get older, the extracurricular musical opportunities become more plentiful and include band, choir, string ensemble, handbells, and musical theater. Browne Academy also offers middle school basketball, soccer, and cross country teams. Q: Does Browne Academy provide transportation? Yes, for the convenience of our parents and students, Browne Academy, in partnership with St. Stephen’s-St. Agnes School, offers one-way and round-trip bus transportation at various locations throughout the Washington, D.C. metropolitan area for K – Grade 8 students. Families may sign up on an annual basis. Q: How is technology integrated into the curriculum? Every student at Browne Academy uses technology to enhance his or her learning experience throughout the year. iPad Minis are introduced in preschool and are used consistently through 2nd grade and on a project basis by older students. Students in 3rd grade benefit from the 1:1 iPad program, 4th graders have 1:1 Chromebooks, and we provide 1:1 MacBook Airs for 5th through 8th grades. The presence of these tools not only teaches the students how to appropriately use and respect technology, but deepens their learning experiences and improves their engagement in and out of the classroom. Because Browne Academy strives to remain at the forefront of learning technology, our libraries also incorporate technology centers, where our students learn to integrate traditional reading and analysis with high-tech research, writing, and creative tools. Additionally, the Lower School has 10 Dash robots with xylophones, on which our younger classes are learning to code. The high-tech side of our Maker Space offers 3D printers; littleBits electronic building blocks and a littleBits Code Kit; Makey Makey, an electronic invention kit; Apple computers where students can work with programs such as Noteflight, GarageBand, Tinkercad, SoundCloud, and Audacity; and six digital cameras with high-quality video capability.